Launching a Cuba travel business in 2016 was not a unique concept, but the idea behind Jessi Calzado-Esponda’s dream to expose Americans to Cuba’s culture led to a growing business and a list of celebrity clients. The idea for a Cuba travel business, Cuba Inspires, came after then-president Barack Obama announced an easing of relations between the U.S. and Cuba. Soon after starting her new business, Calzado-Esponda was suddenly trust into the challenge of arranging an epic tour of Cuba for the Kardashians. To say the least, Cuba Inspires is off to a good start. Calzado-Esponda hopes to build on her success with events, such as the U.S.-Cuban youth choir competition, for which she recently won permission. She sees herself as an unofficial ambassador. 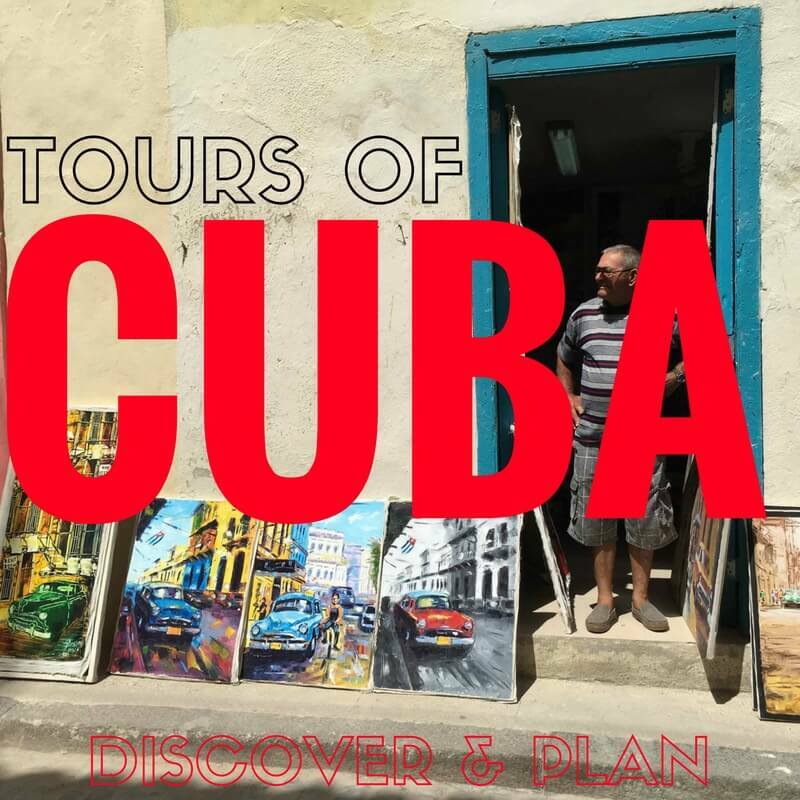 Three day Havana tours start at $3,395 per person. Born in Cuba, Calzado-Esponda remembers times of stress and togetherness beginning with her childhood. When the electricity went out in the Havana neighborhood where she lived, her family would bring out the guitars. Memories of singing and dancing in the darkness is one of few the 29-year-old has from her childhood on the island nation. She left at age seven – an accidental refugee. “There was some chaos,” Calzado-Esponda says about her unexpected departure. Her aunt had decided to emigrate from Cuba on a crowded raft. Somehow Calzado-Esponda and her grandmother, who were just there to say good-bye, ended up on the raft as it drifted out to sea. Faced with the choice of swimming to shore or staying put, they stayed. Neither was a swimmer. “Literally in the blink of an eye, I lost my mom, my immediate family and my beloved Cuba.” Calzado-Esponda would not see her family again for almost 20 years. The raft was “rescued” by the U.S. Coast Guard. Calzado-Esponda, her aunt and grandmother were taken to Guantanamo Bay, where they lived for several months before they were resettled in Tampa, Florida. That’s when Calzado-Esponda’s American life began, a story almost as remarkable as the one that got her to the U.S.
Several years after their arrival in Tampa, Calzado-Esponda’s aunt committed suicide. “It was like losing a second mother all over again,” Calzado-Esponda says. The adjustment was complicated by the fact that the aunt had been the small family’s breadwinner. Without her, Calzado-Esponda and her grandmother could not make ends meet and ended up in a homeless shelter. “It was just really, really, really hard,” Calzado-Esponda admits. Sharing a bedroom with strangers and having to eat meals at certain times were nothing she was used to. But something wonderful happened there too. A music teacher, who volunteered at the shelter, took an interest in Calzado-Esponda, who was then about 12, nudging her to play the piano, play the flute, play the guitar. “What I didn’t know then was she was actually testing me to see my music accuracy.” Calzado-Esponda says. “I’ve always been very musical, my whole family actually.” The result was a six-year scholarship to what was then the Gulf Coast Youth Choirs. Traveling with the choir, Calzado-Esponda developed a love of traveling, which would be important later, and was encouraged to apply to a magnet school for music. In the meantime, the homeless shelter helped her grandmother get on her feet and find a job. Calzado-Esponda says her grandmother never learned to speak English or drive a car, but with community help, she found a new apartment and was able to support the pair. Calzado-Esponda moved to Washington, D.C., in her 20s and was working for a U.S. congressman when she was involved in a car accident that left her with a traumatic brain injury. Forced to leave her job, she couldn’t remember people’s names or conversations. She was nauseous and her back ached. “It was one of the most heartbreaking things I have ever had to endure, worse than losing my family because you always plan for losing everything. Losing your own brain, you never plan for,” she says. Two years later, she is better, if not completely recovered. “I still have a really hard day sometimes, but despite all that, I choose to get up the next day and try again,” she says. When she learned her mother was sick, Calzado-Esponda applied for a visa to return to Cuba. “Unfortunately, one day before I was able to come into Cuba, my mom passed away, so the very first time I met my whole family, was at my mom’s funeral,” she said. But her reception – and Cuba – had a profound effect on her. “It was very amazing to me how much love and support they showed me although they had just met me…the people are very nice, laid back and kind of in the moment,” she said.